Happy New Year (and a month or so)! Lately I find my eyes wandering to all the different stones I have to play with in my work. They are so beautiful, these natural shimmers of organic art. They draw my attention away from the beautiful floral textures I have been dwelling with and have been begging me to give them life! 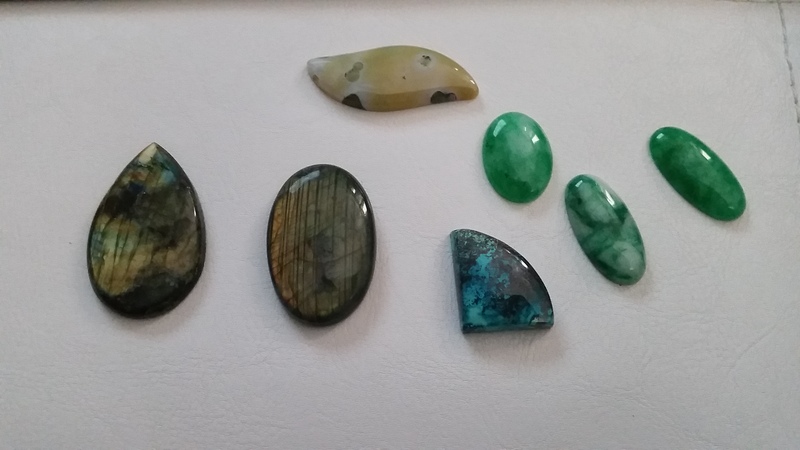 Elements like Labradorite or Jasper or Chrysocolla have a vibrancy and vitality that as of late have been a muse to new and unique ways to create art inspired by nature! The stone can have such an attitude that the metal is secondary. 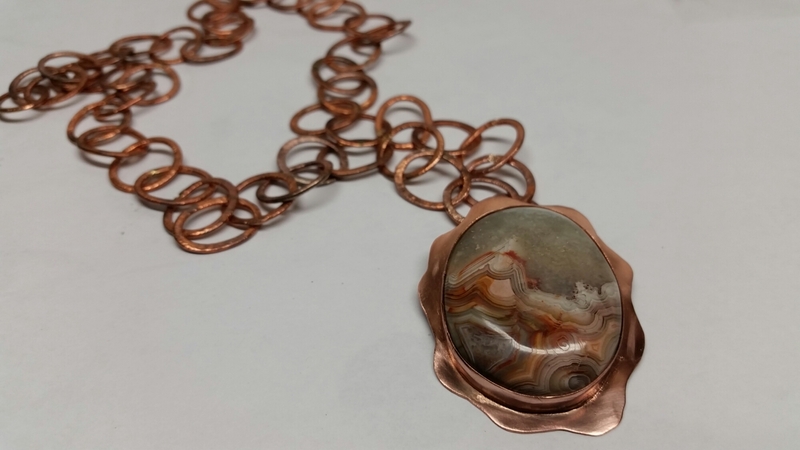 For instance the stone on the left, a crazy lace agate, lost its intrigue and organic colors when paired with complex or elaborate metal components. Simple mimicry of the curves is all that is needed to accent the natural elements of the agate. The second stone, a picture jasper, allowed for more room to play with metal interaction with the stone. 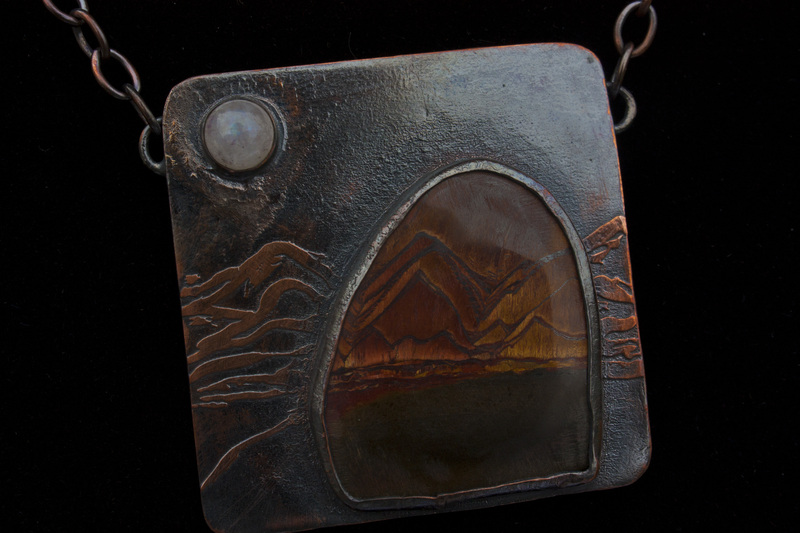 I loved how these mountain ranges just pop from the cabochon and spread off onto the copper, add a touch of moonstone in the corner and a completed landscape materializes. Previous postWhen work does what you hope and more!